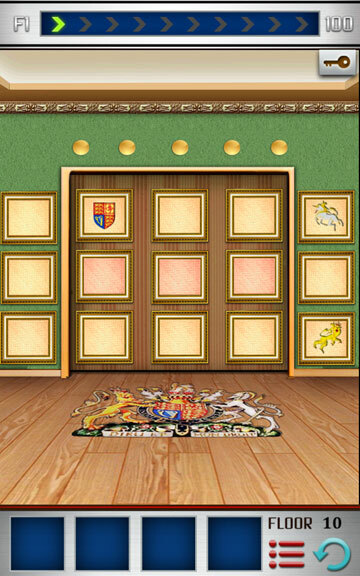 Amazing puzzle escape game 100 floor world tour that keep you entertained all the time. Escape yourself countries by countries in related cultural background. Get stuck somewhere in a country? Lets us bring you out from the puzzle as we will be sharing all answers and walkthrough here. Hope you like these easy and fast, step by step explanations on a way to pass every floor! There have 4 countries right now which is USA, UK, Egypt and Japan, enjoy your tours! 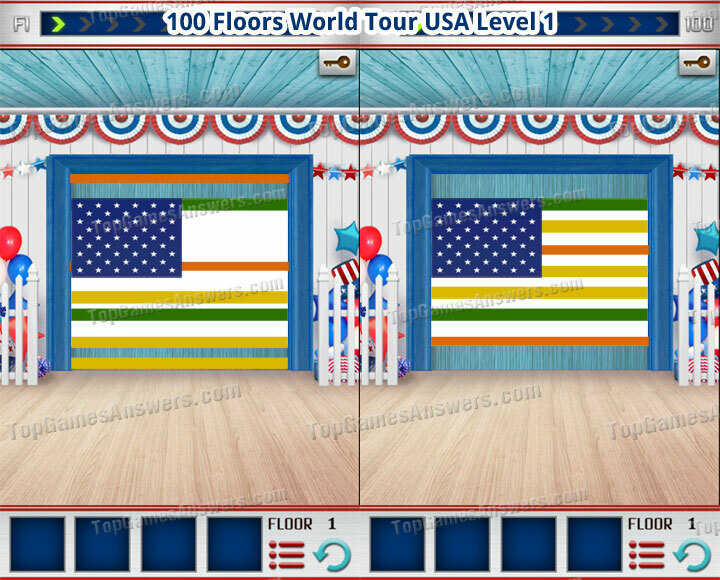 100 Floors World Tour USA Level 1 Walkthrough for iphone, ipad, ipod and android. 1. 3 Segments of strips, we had change the color to make you differentiate the strips easier, drag the strips to become USA flag. Chang is a freelance Web UI Developer, CSS Architect, Mobile Web Developer and Social Media Content Strategist. He previous experience in Web Development, Web Design, CMS Templates & Themes design. em, this is weird.. have you tried to refresh the floor? If i’m not mistaken, the floor should showed like the screenshot attached below after you refreshed. My game also has the lion next to shield on top row. Your suggestion does not work for me. Copyright © 2013-2017 Top Games Answers.